Neilson were looking to increase both retention and acquisition of customers during their Summer peaks booking season. 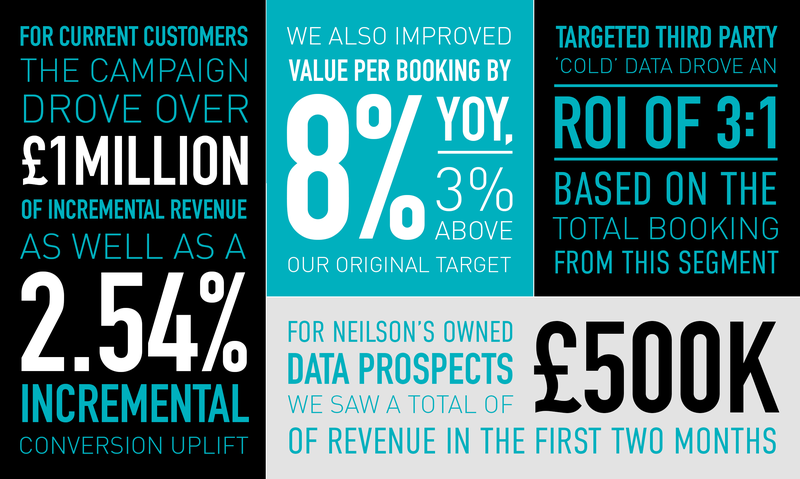 In order to meet their ambitious target, Neilson needed to improve their retention of current customers and increase the value per booking they can extract from each sale by 5%. We identified the opportunities in Neilson’s existing database through a data audit. We found prospects most likely to purchase a summer holiday. We also found potential customers using third party data. Putting segmentation and profiles to use, we were able to understand and target Neilson’s previous customer audience based on their location, previous resort visited and customer type. This enabled us to produce stronger, more personalised creative. This fully integrated campaign for existing database customers included personalised DM packs, emails and landing pages to re-target previous customers. 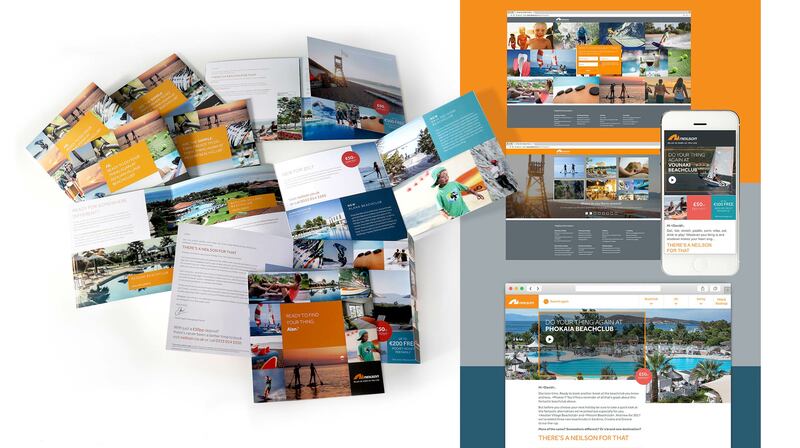 The level of personalisation on these included the previous Neilson resort they had visited to remind them of their last holiday, as well as variable images driven by their customer type and whether they’d been on a family or a couple’s holiday. For our cold prospects, we sent a DM pack highlighting Neilson’s vast range of resorts and activities. We also sent reengagement eDM that directed them to complete our ‘Find your thing’ quiz. This data capture click-through quiz enabled users to find themselves their perfect type of Neilson holiday, and recommended resort/booking options on the results page.